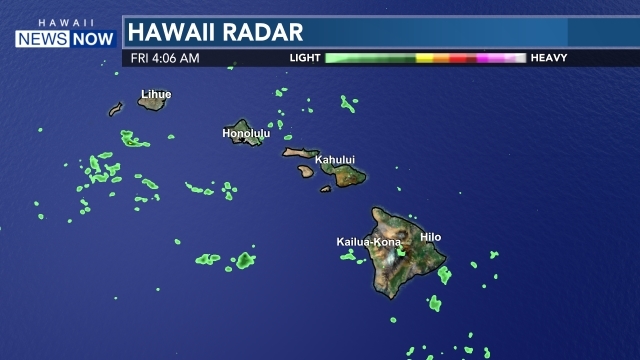 A large north-northwest swell is forecast to rise rapidly through the afternoon, with a high surf advisory now in effect for the north and west shores of Kauai, Niihau, Oahu and Molokai and the north shores of Maui. Surf could come close to warning levels overnight into Wednesday. There’s also a small craft advisory for Hawaiian coastal waters exposed to the swell. 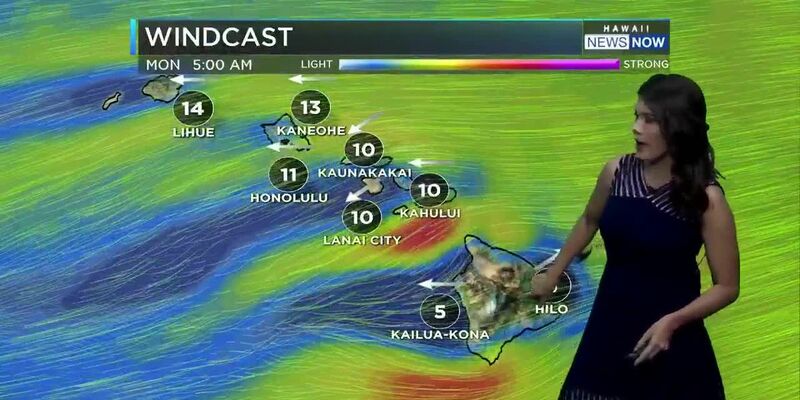 Meanwhile, most islands will have pleasant weather with cooling northeast trade winds of 10 to 15 miles per hour. The exception will be the Big Island, where remnants of an old cold front will linger for the next several days. 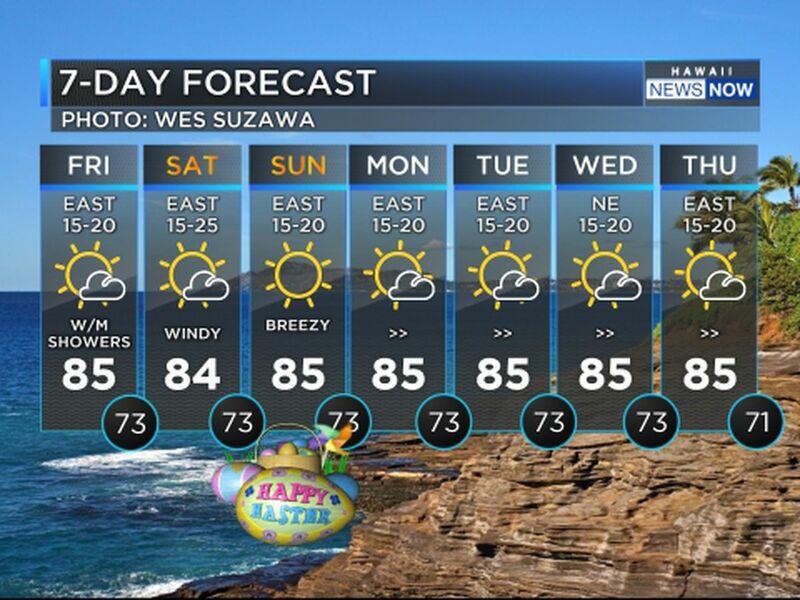 As we look into the rest of the week, the trade winds and lower humidity levels should stay with us into the foreseeable future, with no organized rainmakers expected. The atmosphere should remain rather dry and stable statewide from Thursday onward.